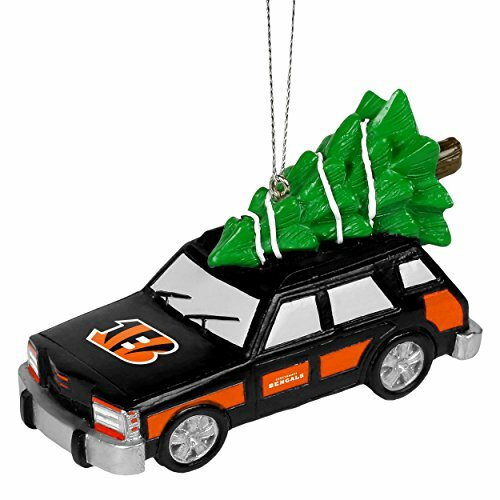 If you’re looking for Cincinnati Bengals Christmas Tree Ornaments we have them for you right here on this page. 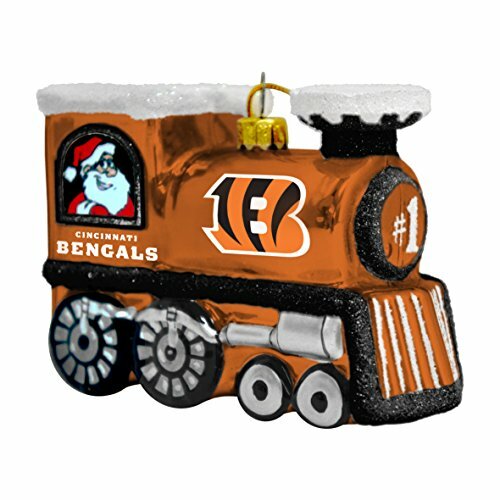 Look at all that bright orange! 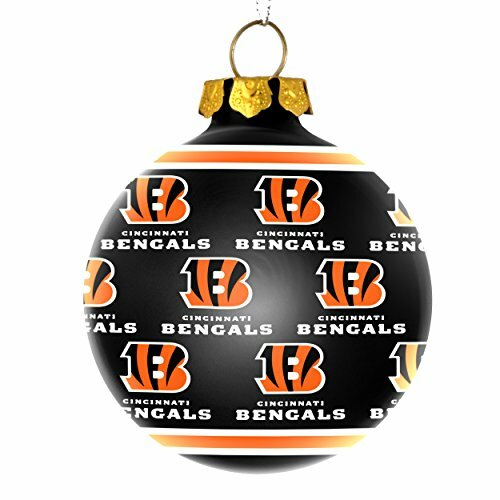 That will make for a beautiful Christmas tree. Mix in some white garland and maybe some white ball ornaments and it will be stunning! 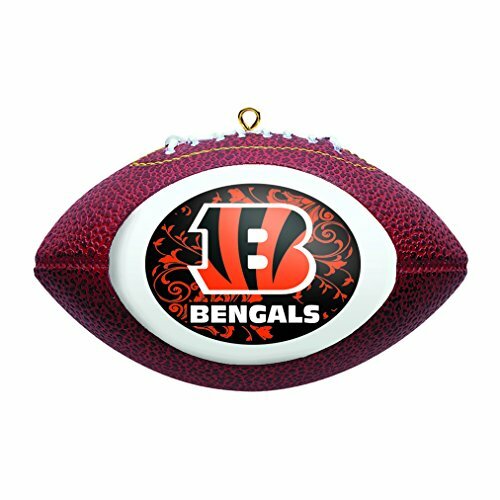 NFL ornaments are fun to decorate with. 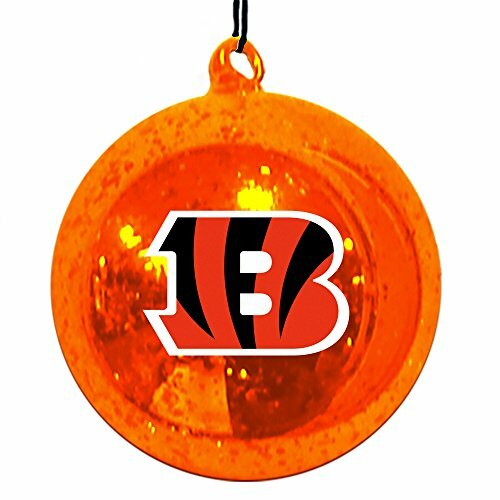 The shimmering mercury glass ornament shown here is an orange and black beauty and would look super on anyone’s Christmas tree. 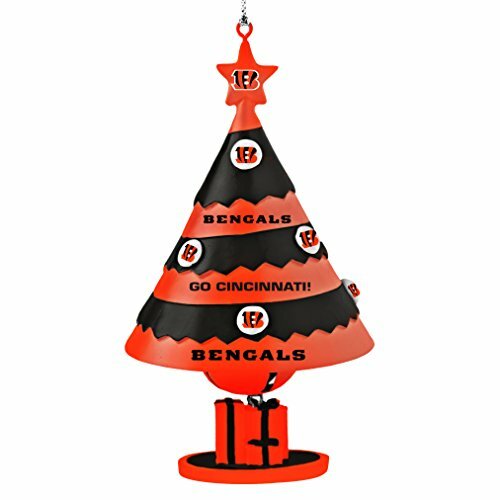 Keep reading for more ornament suggestions for a Cincinnati Bengals themed Christmas tree. 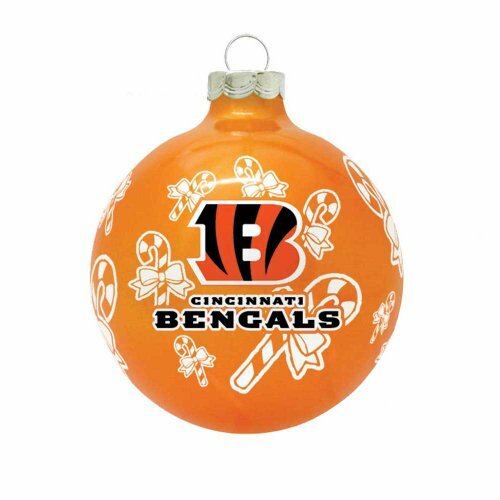 All of these round ball ornaments are sharp looking for the fan who wants to decorate with a Bengals theme. 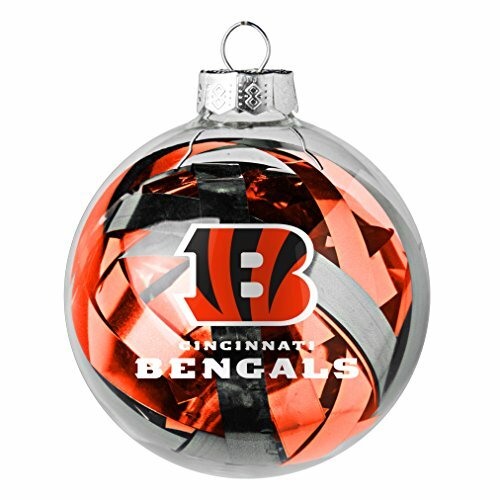 As always, Christmas ornaments can make super little gifts for gift exchanges. 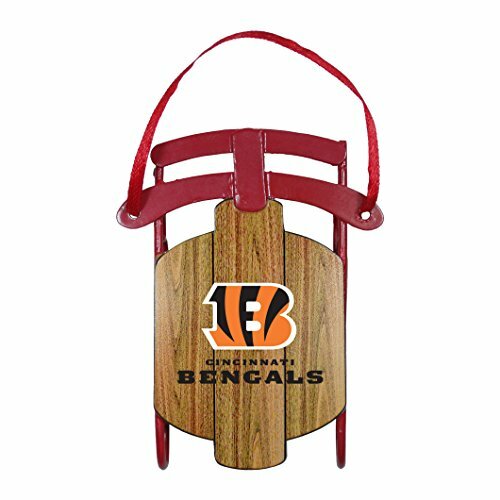 They make good stocking stuffers too. 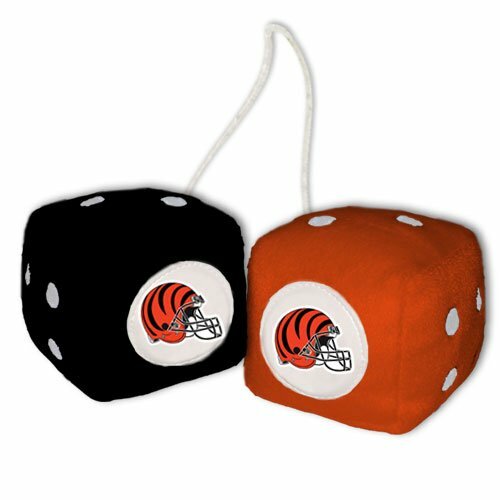 A Bengals fan would appreciate receiving them as a gift. 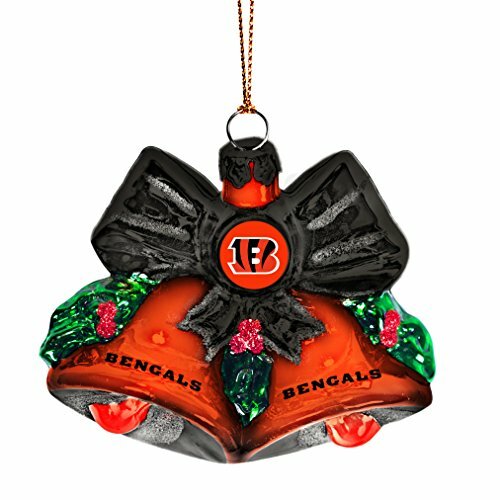 Stock up for holiday gift giving or get them for your own tree. 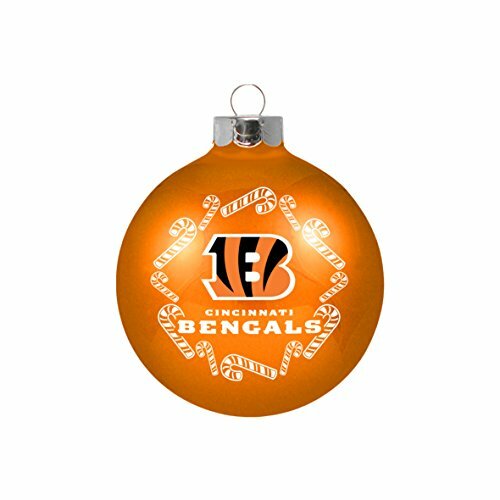 Cross your Bengals fan off your gift list and give them some Bengals Christmas ornaments. 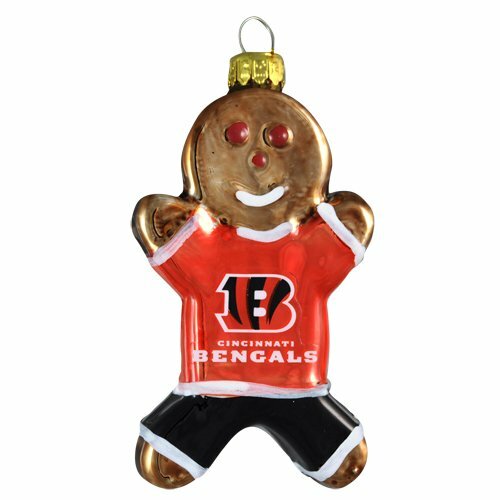 Choose from a Bengals sled, stained glass, retro fuzzy dice, and a cute Bengals gingerbread man! 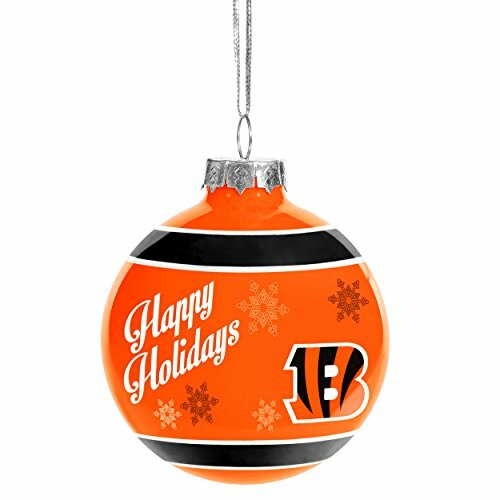 They’ll make a happy-looking tree. 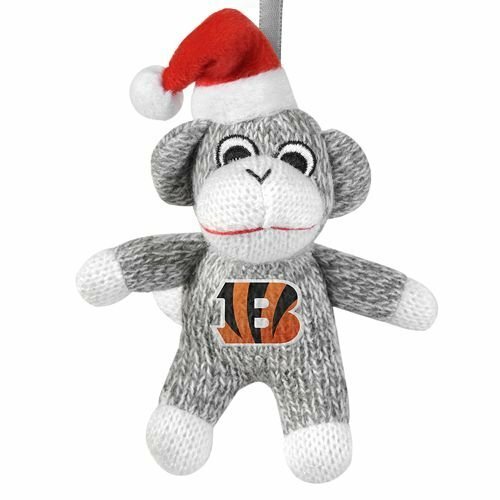 A sock monkey and a foam finger round out the Bengals ornaments selection. 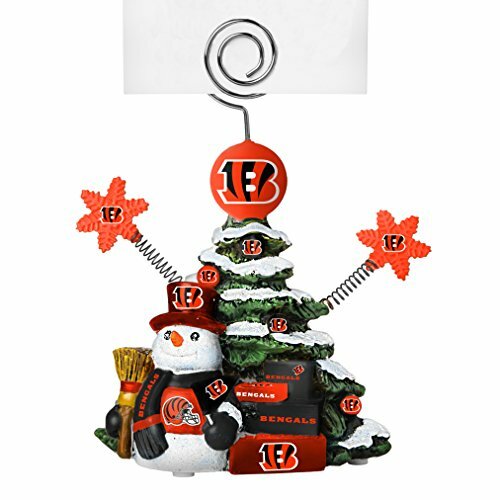 Those two are a bit out of the ordinary and would be fun to have on your tree. 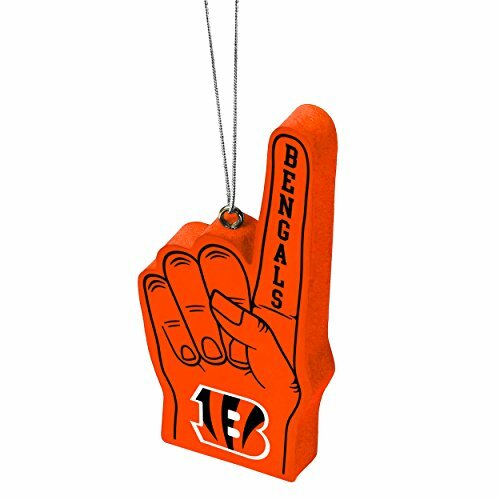 The photo holder ornament would be a good gift. 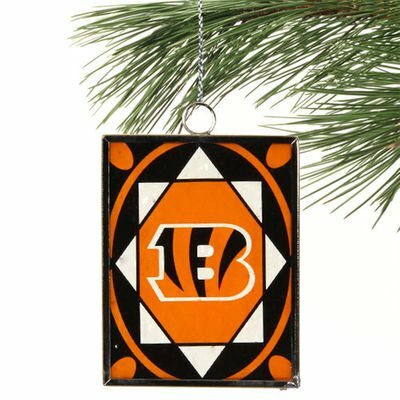 Wouldn’t it be fun to collect the Bengals ornaments from year to year? 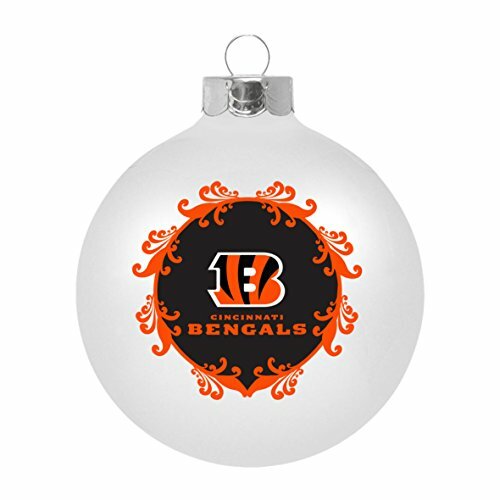 People would know what to give you for gifts and every year your tree would look better! 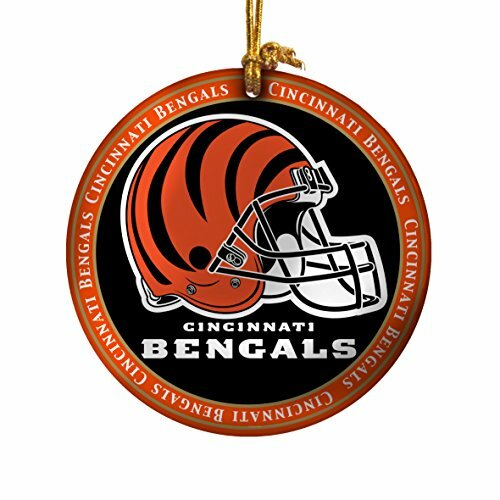 These white Christmas ornaments will have a big-league look when displayed among the orange, black, and white of the Cincinnati Bengal Christmas Tree Ornaments. All of it displayed against the backdrop of a green tree will be beautiful.